Tales from a summer camp...: D'var Torah Parashas Chukas: The Rebitzin That Refused to Cover Her Hair. "Rebuke compassionately. Soft words and hard arguments do well together. When love is felt, the message is heard." After Miriam passed on, the spring that provided water in her merit dried up. The Yiden complained to Moshe for water, and so Moshe turned to Hashem for direction. "Speak to the rock in full view of the people, and command it to give water." hashem said, but Moshe struck the rock. The rock gave forth water, but striking the rock was a grave mistake that caused Moshe not to be allowed entrance into Eretz Yisroel. 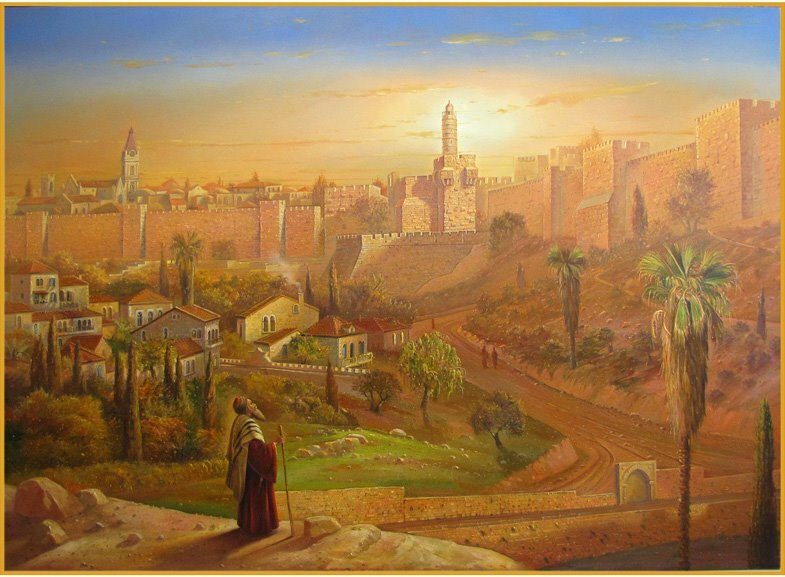 All the commentators wonder as to what exactly was Moshe's sin? What did Moshe do that deserved such a harsh punishment? Reb Levi Yitzchok of Berditchev, author of Kedushas Levi, explains the Rambam view on this incident. He seems to say it was all about Moshes approach, that it was because he spoke harshly to bnei Yisroel. When the Bnai Yisroel asked for water, Moshe replied with the words "Listen, you rebels..."
Moshe was right in being upset, the Bnai Yisroal had sinned, they should never have doubted Hakodosh Baruch Hu, but there are two forms of rebuke.We can rebuke with gentle words. We can explain the great privilege of being a part of klal yisroel, of having a special relationship with Hashem. We can talk about the great joy that permeates all of creation when a Jew fulfills what is asked of him/her. This form of rebuke persuades the one who receives it to return to the Hashem with all his heart and to embrace his/her role in this world. A person who rebukes in this manner deserves to be a leader of the people. The other kind of rebuke is sharp and harsh. It seeks to shame a person into fulfilling his/her obligations. A person who chooses this method is not bringing the people to the fulfillment of their destined roles. Instead he is essentially twisting their arms and intimidating them into submission, even though their hearts are not in it. Such a person does not deserve to be a leader of the Jewish people. This is symbolic also in the hitting of the rock. Rav Levi Yitzchak explains that these two infractions are one and the same, because one led directly to the other. When Moshe spoke sharply to the Jewish people, he was not inspiring them to turn away from their misguided behavior. Rather, he was forcing them to do so with his harsh rebuke. The rock, therefore, would not willingly provide water. Moshe had to force the rock by striking it rather than just speaking to it. In this sense, Moshes’s first mistake inevitably led to his second one. 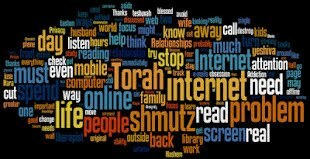 I wrote about this topic recently, Doing More Harm Than Good, where I told the story that highlighted how tough rebuke can damage a teenagers view on tznius. A day later I got a call from someone in my own neighborhood that told me an even more incredible story. That story I would like to share with you now. I asked her to email it to me in her own words so that I can post it. I’m not editing it because I want you to read it first hand from the women herself. The story is of a Rebbitzen *Goldstein that heard as a young child something painful and it had a negative impact on her till the day she died. “This is a follow up to our conversation of yesterday wherein I spoke about a woman in Sydney, Australia who I had contacted a number of times in search of information about my family history. I had been told about her by her cousin who was an old elementary school principal of mine. She had explained that Rebetzin Goldstein* was one of the only surviving grandchildren of my great great grandfather’s brother. I telephoned her and was fascinated by the details she was able to provide me. She told me about my great great grandfather of Nitra, Slovakia. How he had had six daughters and would marry each of them off to men who were sitting and learning. His eldest daughter married in 1900. She explained that his daughters didn’t necessarily marry young inasmuch as it was very hard to come by such men at that time. Her own father was a son-in-law, a talmid chochom and both of her parents were caretakers of the mikveh where they lived, in Topolcany which is part of the Nitra district in Slovakia. She told me that Topolcany was a community of 5000 shomer Shabbos families. Unlike Nitra, there was no Neologue in Topolcany. She also told me a story detailing how important it was to her father to save his seforim before the Nazi onslaught. Rebetzin Goldstein sounded like another family member. She came across just as heimish as her cousins living in Williamsburg and Boro Park. She was one of the only surviving grandchildren who could tell me details about a family I knew nothing of. I did a lot of questioning and she was willing to share with me whatever she could. I don't know just how she came to share this with me but somewhere in our conversations, she startled me with this revelation. She recounted a story of her youth that had occurred while growing up in Topolcany. A woman had taken off her shaitel. Subsequently, her child had died. Although, it was common for children to die in childhood at that time, people were saying that the child died because her mother no longer covered her hair. Apparently, she found those statements very difficult to bear and announced that she would never cover her own hair. Her father, overhearing her statement, told her that if so, he would be unable to make a brocha in her home. However, she had made a “neder”. After the Holocaust, most of the family was lost. The Rebetzin got engaged and when her surviving cousins learned that she did not intend to cover her hair, they pleaded with her to do so. However, the Rebetzin stood by her “neder” . She told me that she wore a hat to shul and covered her hair on her trips to the USA out of respect for her cousins. I was completely baffled by what she told me. After reading your posting on Monday, I thought of the Rebetzin as I cannot forget this conversation. The Rebetzin passed away last year. She was about 90 years old." If a rebetzin can feel this way, how more so can our younger generation. We need to think over our form of chinuch before it’s to late. My previous open letter to Bnos Yaakov was not supposed to be about that school specifically, it was a general letter about this type of education. I'm told by many that the school does not preach these kinds of methods. The Jewish press quotes someone at the school as saying ““This school is a school synonymous with positivity, joy and serving Hashem,” How a letter like that can then go out to the parents is beyond me. Either someone is sending out letters in the name of the school or more likely the school realized that it was a mistake and is now backtracking. It seem very common these days for schools to send letters and later retract them. Maybe the “terrible” blogs that they keep denouncing, is having some positive effect. I also found it interesting how with all the many negative comments on my blog, this terrible way of chinuch is taught in some schools and how it has turned them off, and yet some visitor on the Lakewood View post defended the letter, saying: “Am I missing something? Is there something wrong with teaching children about s’char v’onesh (reward and punishment)? Do you not believe in it? When should yiras shomayim (fear of Heaven) be instilled in kids?”. Yes, there is something very wrong! It turns kids off. It seems like the moral mafia wont stop till they turn all our children away from Yidishkeit. They might be great Rabbis and big Talmidai Chachomim but their approach is counterproductive. God doesn't hate us and he doesn't want to torture girls because their ankles show. If all you could see in your students is the outer layer of clothing and not the soul within then you shouldn't be in chinuch. My letter Pritzus, I know it when I see it, highlights this perverted way of thinking. Nuff said. **Special thank you to Mordy Plotsker for showing me Rav Levi Yitzchok. To think that Hashem is punishing you, is the ultimate hubris! Hashem may sometimes punish, but he also forgives. Why must those in power insist on making Hashem a vindictive SOB instead of caring, like a parent. This only turns off young people, who make mistakes and think that they cannot ever live up to the unrealistic expectations of those around them, so they simply give up and leave the fold. A SHAME! Keep up what you are doing, it's important and needed. her home. However, she had made a “neder”. Her father would be allowed to be matir the neder on her behalf (as fathers are permitted do to for their wives and daughters). It would seem he stood by her neder. Although if we are speaking halachically, I didn't even think a person can make a neder that s/he violate a mitzva, because we took an oath at Sinai to keep them. But you hear these things about punishments all the time and that is quite a reaction to this distorted approach. Another fascinating point about this is that the shidduch did not fall apart when her future husband and his future family discovered her intention. Yes, I think that is correct, one is not allowed to make a neder not to do a mitzvah in the torah, but I think that just applies to one of the mitzvas asei in the torah, not covering ones hair. Why is covering the hair not included? It's not a Mitzvah? Or it's only a D'rabban, or Gezairah? Or just a chumrah? Or it's not a Mitzvas Asei? I don't understand. Could you please explain? Thanks. If i remember the sugya correctly, you need to make a neder that you wont do something the torah says you must do. The torah doesnt command a woman to cover her hair but rather we learn it out from sota that it was the jewish custom to cover ones hair. As far as I know, the rambam or any other rishon doesnt list covering ones hair as part of the 613 and therefor I think the neder would be chal. I might be totally mistaken but either way it's a kasha oif a maseh and it really doesnt matter, this lady believed she made a neder and evidently was insistent on keeping to it.. Thanks for responding. That sounds interesting. Do you know where the Sugya might be?